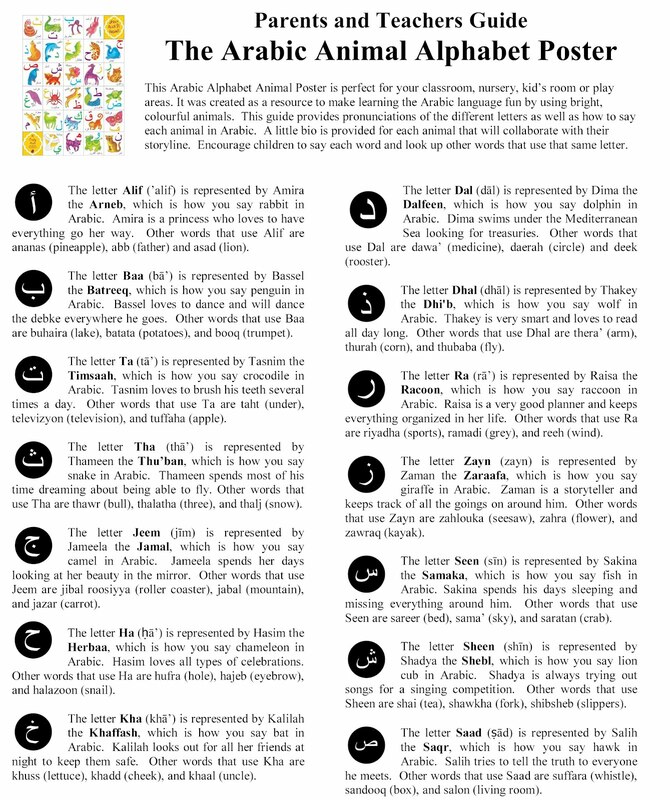 Recently I created a Parent & Teacher Guide that goes with my Arabic Alphabet Animal poster. This guide was created to help the pronunciation of the letter and animal and it presents additional items in Arabic that use the same letter. Additionally it gives a hint about the upcoming story books that will be presented about each animal. I will be including a Guide with poster purchases from my Zibbet or Amazon stores, but welcome those that have already purchased the poster to download the Parents and Teachers Arabic Alphabet Poster Guide.